Sun Lakes Chorale began as a group of about twenty individuals interested in sharing vocal music. 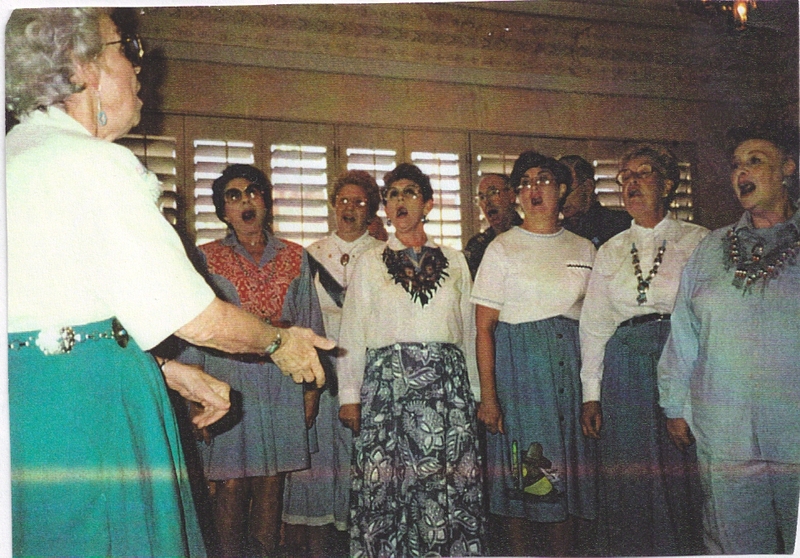 Singing under the name of the “Southwest Singers,” the group had its first performance in 1993. Early group activities included fund-raising to purchase sound equipment and cover the costs of costume-making. Betty Schmuck served as the first director, followed by Marian Whitney, Irene Jacks, and Margaret Hylton. 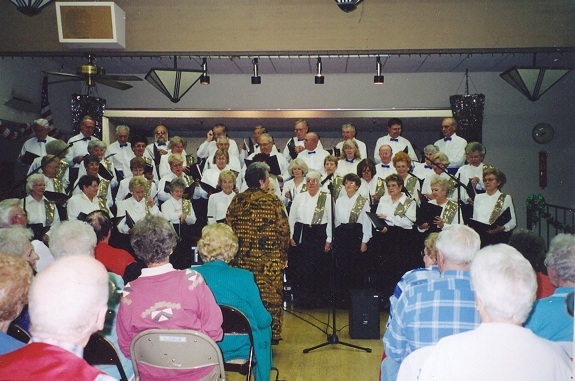 For twenty years, the Chorale used the facilities of the Mirror Room at Sun Lakes Country Club. Early concerts were often from the stage of the Arizona Room. Laura Eisenhart became the director in 2000, and the Southwest Singers, now a group of about 45 members, became the Sun Lakes Chorale. In 2001, the group was incorporated as a not-for-profit organization. Early in 2002, Janice Manning became the official accompanist. Under ten years of Laura’s direction the Chorale grew in size to over 60 singers. She raised the quality of the Chorale with challenging music, often with eight-part harmonies. In honor of her leadership she was named Director Emeritus in 2010. 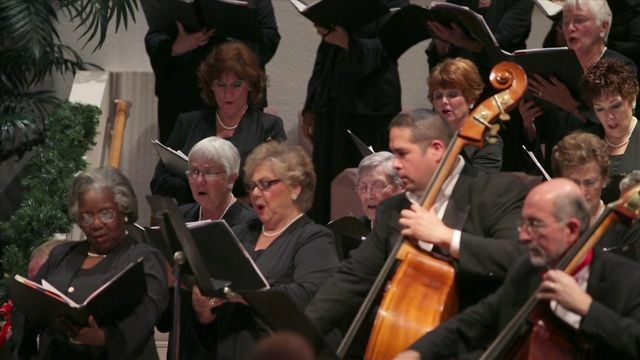 In December of 2012 the Sun Lakes Chorale was honored to appear at the Chandler Symphony’s Holiday Concert, which benefits Neighbors Who Care. Click on the picture at the right to watch our combined performance of Handel’s Hallelujah Chorus. 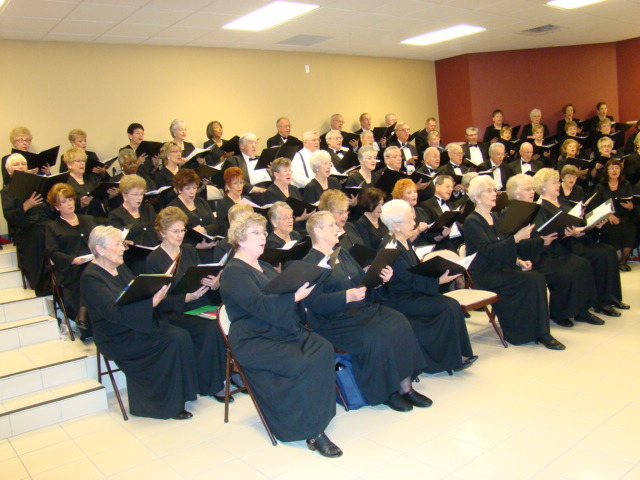 In September of 2014 the Chorale moved their rehearsal location to the choir room of the Sun Lakes United Methodist Church, the same church where their concerts are currently held. Membership was also opened to residents of SunBird Golf Resort. 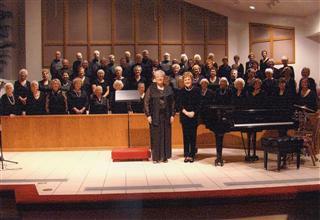 The Chorale’s early concerts were held at Sun Lakes Country Club and Cottonwood Country Club. In later years concerts were also held at the Sun Lakes Chapel and Oakwood Country Club. 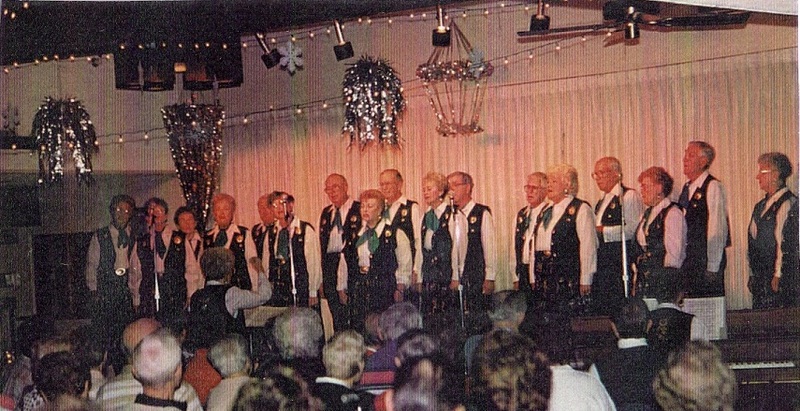 In 2001 it was decided to provide both a Holiday and Spring Concert, along with other community performances including civic events and health-care facilities. Recent concerts have been held at Hamilton High School and Sun Lakes United Methodist Church, often in conjunction with local instrumental groups, and more recently featuring vocal and instrumental soloists from within the Chorale. Cris Temple-Evans joined the Chorale as Director in the Fall of 2010, following an outstanding career teaching music and choral singing at Hamilton High School. 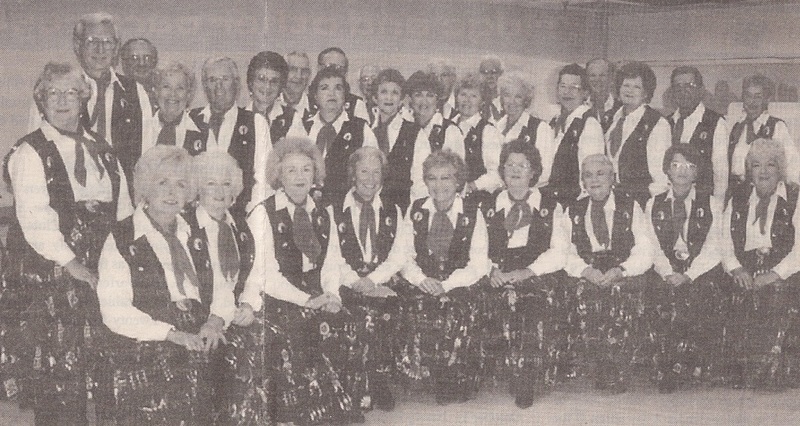 The current membership of the Sun Lakes Chorale is around 75 singers.